A mile outside the border town of Clones, Co Monaghan, and less than half a mile from St Tiarnach’s Park – the scene of many a bone-crunching Ulster Football Final down through the years – lies the home of Clones Town FC. Founded in 1878, Clones Town FC is the oldest soccer club in Ireland. Unlike many sporting grounds around the country that are named after famous Irish rebels, bishops, politicians or saints, Clones Town took the somewhat unusual decision in 2013 to name its grounds after John Delaney, the now-embattled chief executive of the Football Association of Ireland (FAI). While he may not have been up there in the canonised constellation of saints like St Patrick or St Tiarnach, Delaney’s pedigree had obviously reached saint-like status when the FAI coughed up a €20,000 grant towards the redevelopment of the club’s new ground. For Clones Town FC, or for that matter any other club or sporting organisation, grants like this are hugely important as most of them have to rely on an often unreliable mixture of funding from local fund-raisers, membership fees, ticket sales, grants and of course sponsorship. There’s nothing like the whiff of some dosh – or the prospect of losing it – to concentrate the minds of sports administrators and the organisations they work for. Unfortunately, money – and questionable standards of ethics and corporate governance – are also to blame for many of the high-profile sporting fall-outs in recent years, from the shenanigans at Fifa in the Sepp Blatter years, right through to our own more recent national embarrassment when the grubby spectacle of a semi-naked Pat Hickey, being led from his hotel bedroom by Brazilian police during the last Olympic Games, made global headlines. Now, or so it appears, money is at the centre of the current fallout at the FAI and again, for all the wrong reasons. For sponsors, controversies like this can be a nightmare. No company wants its brand to be associated with anything remotely negative for fear of the damage it could unleash on its reputation in the market place or indeed among fans and the wider public who, let’s face it, are the target market for sponsors. Judging by the substantial media coverage over the past fortnight, most of which has been negative, it would appear that the FAI is once again hovering close to that zone where sponsors could well be starting to feel a tad squeamish. In 2017 – the year of the ‘bailout’ – the FAI brought in €8.3m in sponsorship, which equated to approximately 17pc of its total revenues of €49m that year. This included much-needed sponsorship from the likes of Three, Carlsberg, Ford and DHL. As the FAI prepares for a grilling by the Oireachtas Sports Committee next month, you can be sure that the sponsorship departments in some of these companies will be glued to Oireachtas TV for the duration of the Committee’s hearings. In the Irish sports sponsorship industry – one which is likely to be worth around €160m in 2019 – there are signs that sponsors are now taking a much tougher line when it comes to assessing potential sponsorship proposals. More robust due-diligence including closer scrutiny of corporate governance, regulatory compliance and reputational risk assessments are now quite common, according to John Trainor, CEO of sponsorship consultancy Onside. “It’s been a game-changing decade for sport and sponsorship globally when viewed through the lens of professional standards of operation,” he said. “Investigations into the practices of sports, entertainment and cause-based organisations around the world have cast a shadow over an array of sponsorship platforms. All this has driven questions around the extent to which sport and other rights-holders lag behind the commercial sectors they associate with in governance standards at a time when sports are becoming increasingly lucrative. “In this landscape, companies partnering with sports teams and personalities are upping their expectations around the degree to which sports are adhering to the same standards that the companies themselves have to maintain,” he added. Still on the subject of the FAI, could the Irish media and marketing industry end up supplying the successor to John Delaney as CEO? 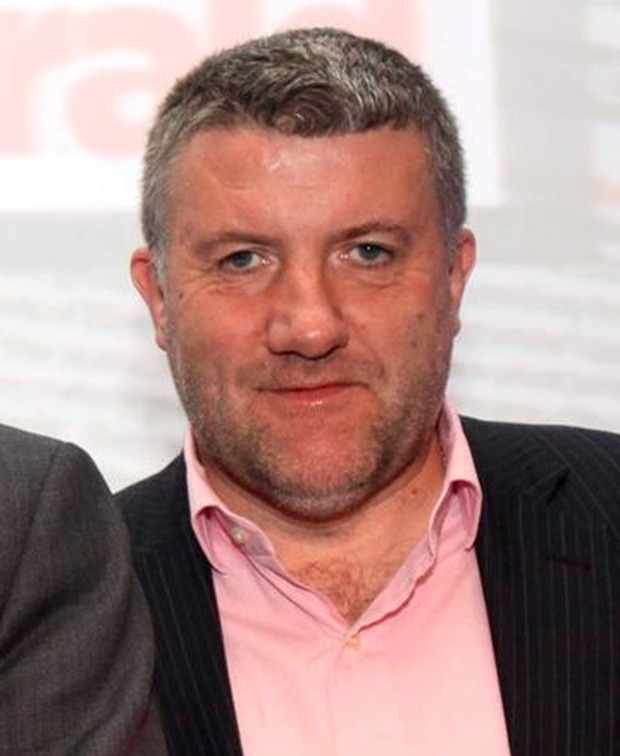 If the rumour mill is to be believed, a number of well known industry people are being tipped as possible contenders including Paul Cook, the former MD of the ‘Irish Daily Star’ and more recently CEO of the ‘Sunday Business Post’. Also on the list is marketing guru Gary Brown, a former Shelbourne player and now chairman of the creative agency JWT Folk. Peter McPartlin, the former CEO of Today FM and media agency MediaCom, has bounced back into the industry after a brief gap with the launch of a new digital radio station called Playirish. Available on the Radioplayer app as well as online, the new not-for-profit station is dedicated to showcasing Irish music across a wide range of genres. With support from the Irish Association of Songwriters, Composers & Authors, IBI, and RTÉ, the station goes live today.